Boeing 737-230(Advanced) N124NJ (c/n 22122, line number 721) is seen here taxiing at Atlanta Hartsfield International Airport on August 09th, 2001. 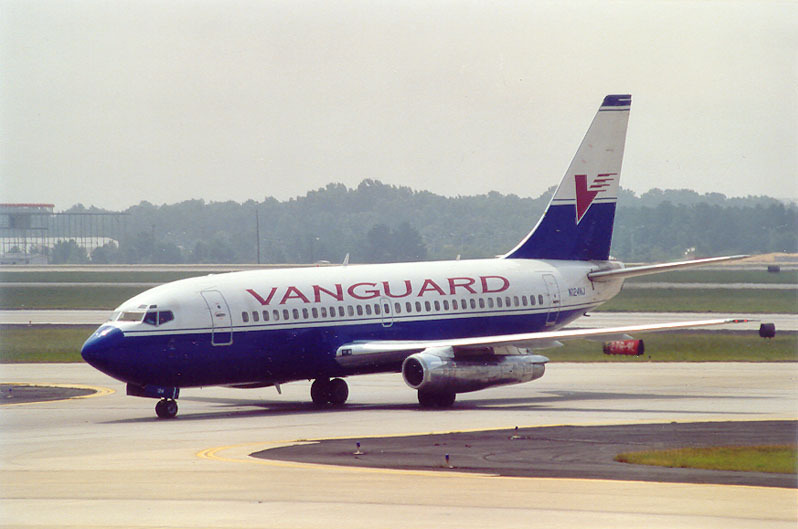 Vanguard was grounded on July 30th 2002, after twice being refused federal loan help, to keep it flying; as a low-cost operator with few financial reserves to its name (all aircraft were leased) it could not cope with the setback the airline industry faced after "nine-eleven" , the terrorist attack on the US Sept.11 2001. The carrier, which served Midwestern, Rocky Mountain and Western cities in the United States for eight years, was seeking an USD$8 million guarantee for a USD$15 million loan. It had made a revised application after the Air Transportation Stabilization Board rejected an earlier plea for help. 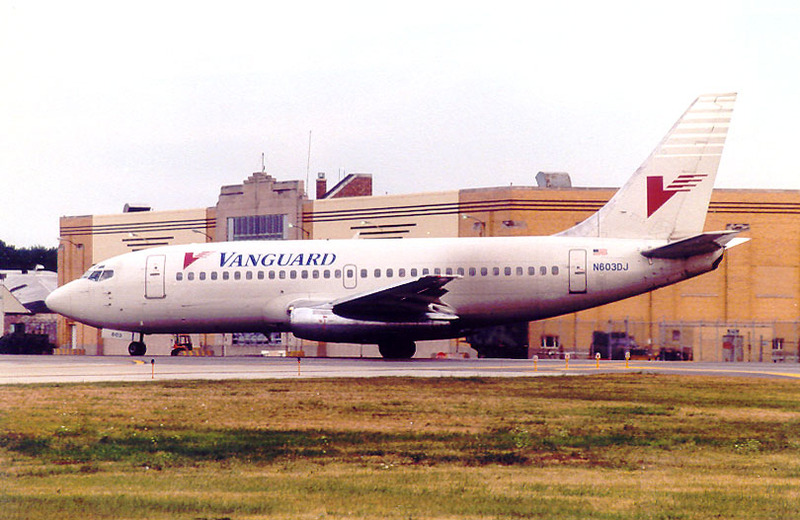 Vanguard's fleet of MD-80 and Boeing 737 aircraft was grounded and most of its staff were dismissed. N603DJ is a 737-222 (c/n 19955 / 210), here at Chicago-Midway in Aug98; from Vanguard it went to Aero Continente. "An addition to your list of aircraft operated by Vanguard Airlines on your "Airlines Remembered" webpage, there were two wet leased Trans-Meridian 727-200s. Unfortunately, it has been two and a half years and I no longer remember their registrations. However, I thought you'd like to know."